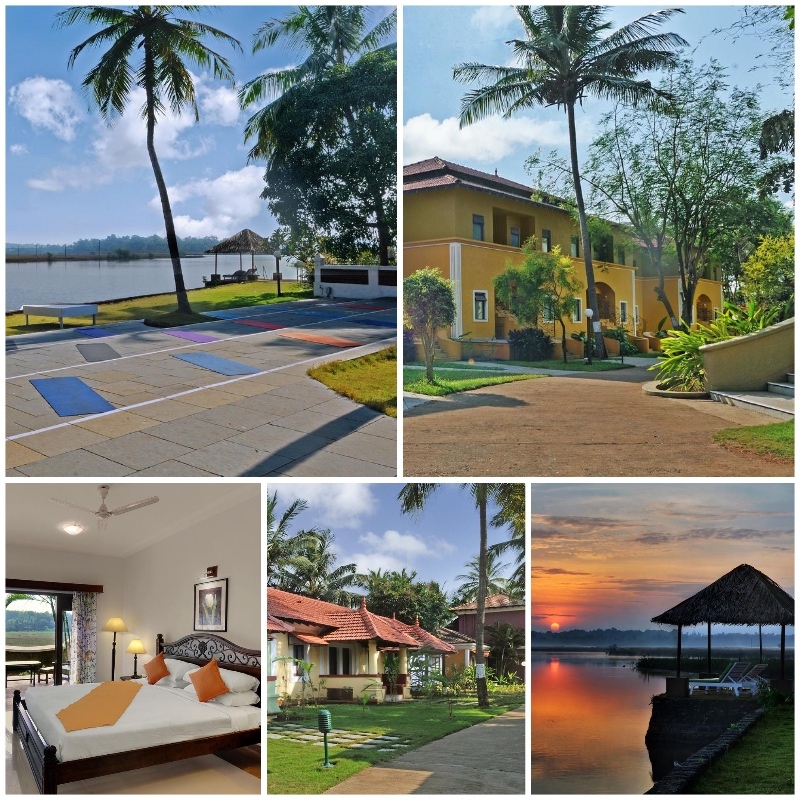 Though there are various islands in Goa, which boast its rich history and culture; Divar Island is one of the most famous ones. Goa’s Divar Island sits on the Mandovi River and boasts the flavors of rich Goan history. 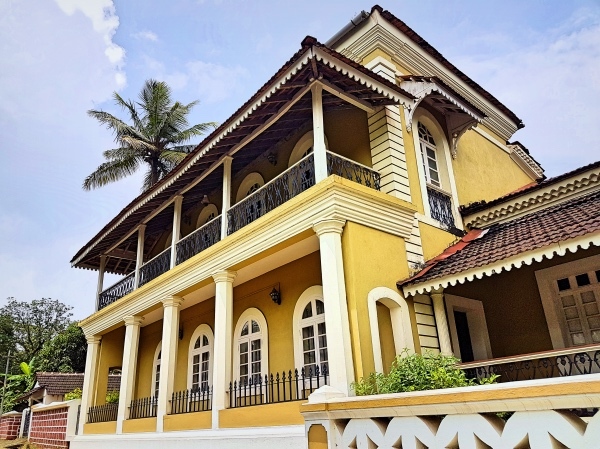 Marshy waters, quiet and sleepy roads, and beautifully built Portuguese styled homes, Divar Island takes you back in time. 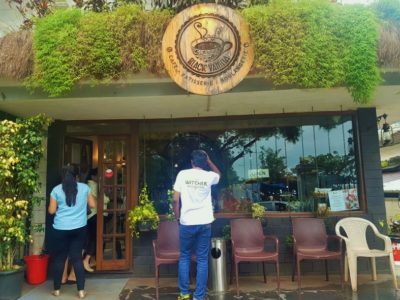 During my trip to Goa, I visited this island not once but twice. 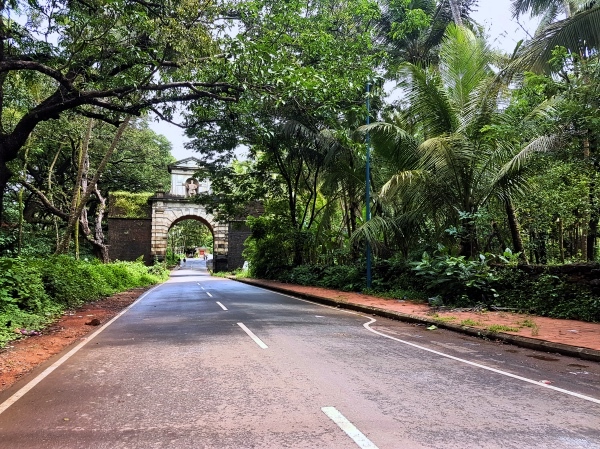 It was monsoon and Goa’s natural beauty was at its peak. 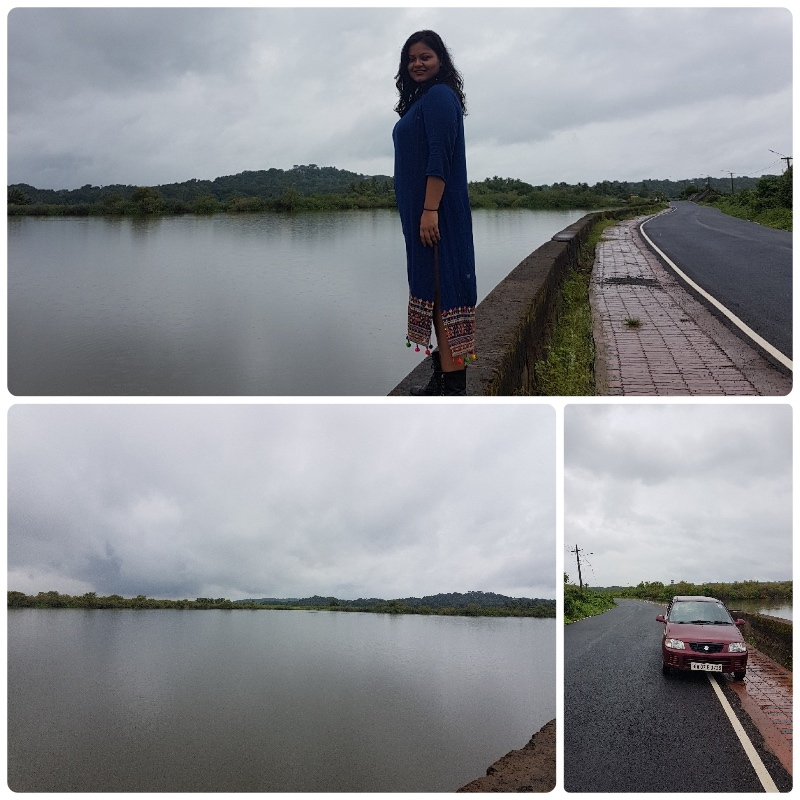 Driving around Divar Island was so much fun. 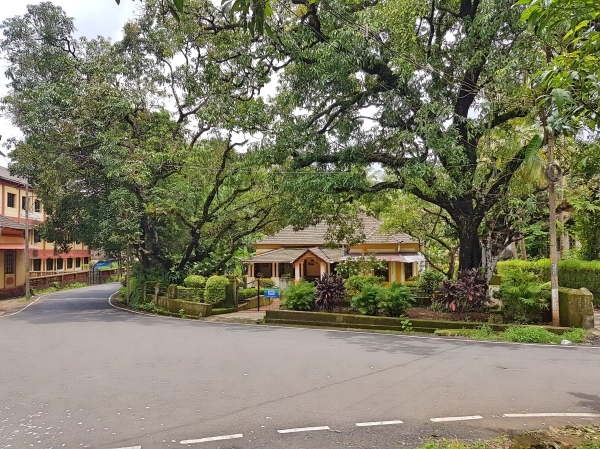 We were on the other side of Goa’s fast-paced noisy lives; surrounded by the sounds of nature, almost no human visible but just us in our Alto luxuriating in the beauty of Divar Island. 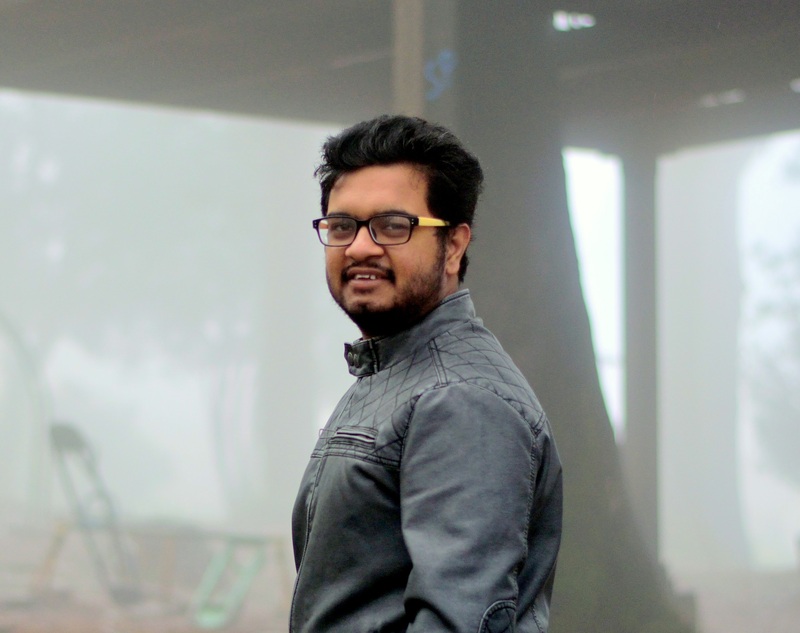 Before I tell you more about my journey to Divar Island, let me acquaint you a little about it. 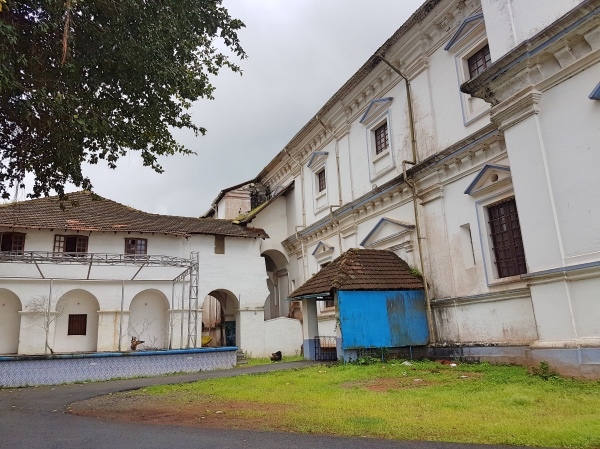 Unknown to many, Divar Island was once home to a large number of Goan Hindus. 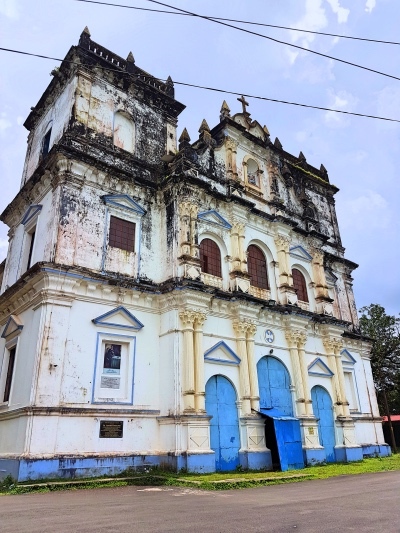 However, when Portuguese started coming into the island, Hindus escaped to other parts of Goa, leaving behind remains of religious temples and monuments. 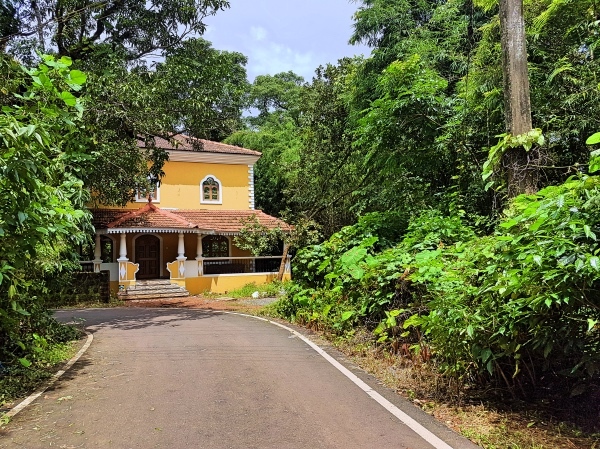 This picturesque Piedade is not visited by many tourists, and hence, making a great escape to the unseen and unexplored side of Goa. 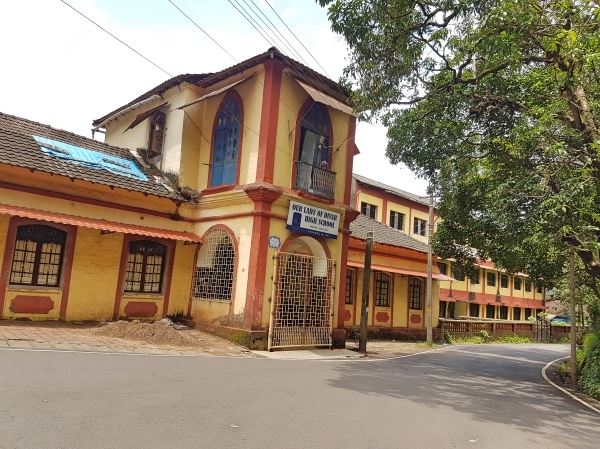 How To Reach Divar Island? 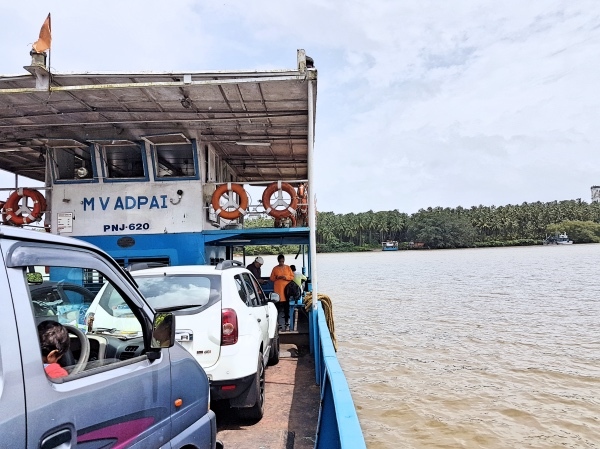 The only way to reach Divar Island is via ferries. These ferries to Divar Island start as early as 7 AM and run throughout the day till 8 PM. Ferries are large enough to carry 4-5 cars along with two-wheelers and people onboard. 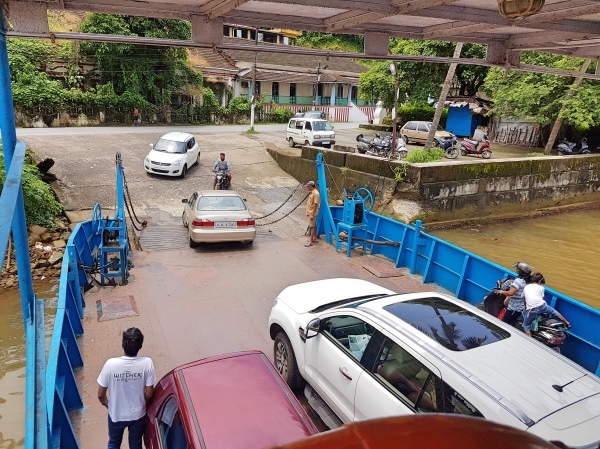 To board the ferry, you have to wait in line near the boarding point inside your cars or with your two-wheeler. Once the ferry arrives, deboarding is done first followed by boarding of vehicles. The boarding process is so smooth and hasslefree as everyone follows the queue. Ferries to Divar Island from Goa are totally FREE OF COST!!! Yes, you read it right. You do not have to buy a ticket if you are on-foot or have a two-wheeler. However, if you have a car, you have to pay Rs. 10 for it. The total travel time to Divar Island is around 10-15 minutes. The frequency of ferries is also great. There is one in every 30-minutes from both sides. Though there are various departure points of ferries to Divar Island, the most common one is from Old Goa. Just ahead of Viceroy’s Arch is Old Goa Jetty, where you have to wait in line to onboard the ferry. The ferries that depart Old Goa Jetty drops you at Piedade Ferry Terminal on Divar Island. Another ferry terminal to Divar Island from Goa is Riabandar Ferry Terminal, which is just 5 KM from Old Goa Jetty. 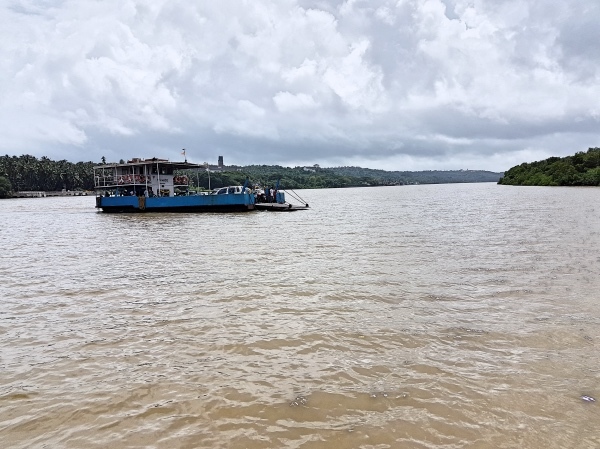 The ferries that depart from Riabandar Ferry Terminal arrives at St. Pedros Ferry Point on Divar Island. 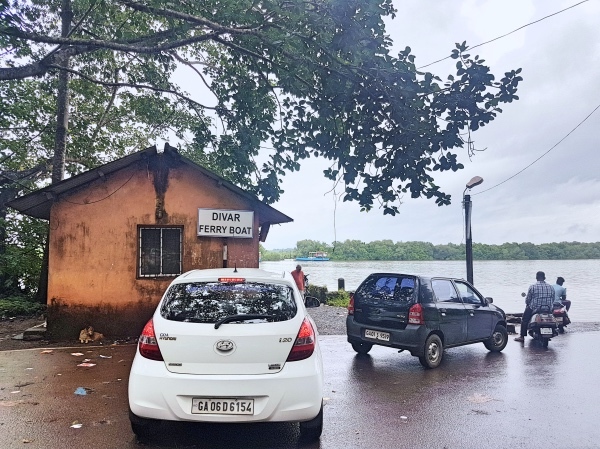 During my visit to Divar Island, I boarded the ferry from Old Goa Jetty to Divar Island but while coming back, I boarded it from St. Pedros Ferry Point, which dropped me at Riabandar Ferry Terminal in Goa. As mentioned above, I boarded the ferry to Divar Island from Old Goa Jetty, which dropped us at Piedade Ferry Terminal. The ferries to Divar Island have separate space where people can sit and enjoy the journey till the island. After some time, to get the full view of the ferry, I grabbed a seat on the first floor. Once aboard, it took us around 20-minutes to reach Piedade Ferry Terminal. After deboarding, a few hundred meters of driving welcomed us with open marshy waters. We couldn’t control ourselves but to stop for a photo shoot. The beautiful churches and cathedrals of Old Goa were visible from this side. It was so peaceful and calm on the island. 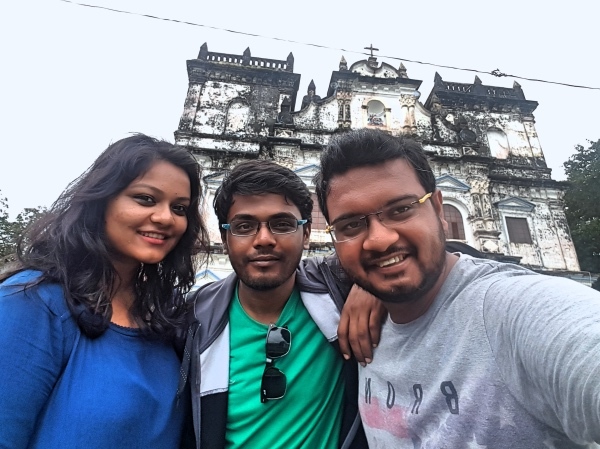 Once our photo shoot was over, we started our exploration of Divar Island. It was our first drive around where we did not use Google Maps. I started driving blindly and taking left and right turns randomly. Reason being, I did not want to leave any area of this beautiful island unexplored. I wanted to touch every corner of Divar Island. Our random drive around took us to the highest point of Divar Island. It is the home to a beautiful church, which was built in around 16th century and known as Our Lady of Compassion Church. 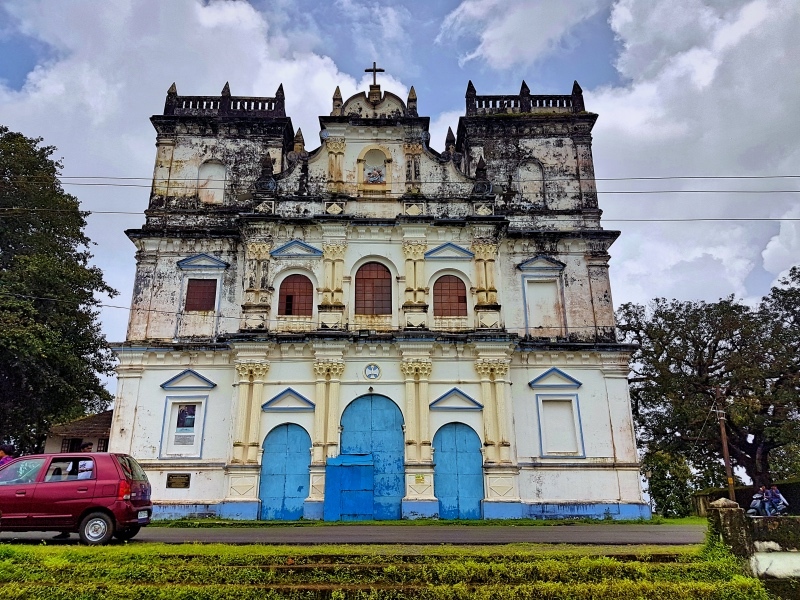 The church is located in Piedade village, which is also the biggest village of Divar Island. 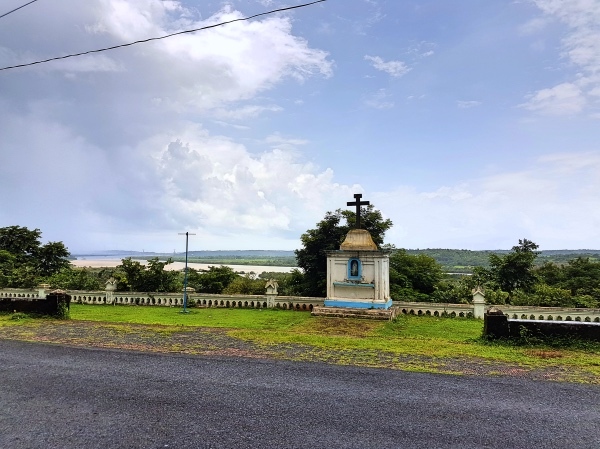 Standing in front of the church, you get to see the beautiful sight of Old Goa and of Mandovi River. After our visit to Our Lady of Compassion Church, we embarked on our drive around again. 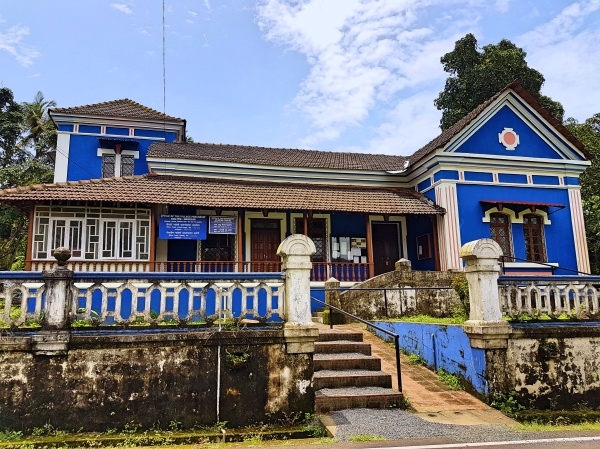 During the exploration of Divar Island, I got to see some of the most beautiful homes of my life, which were beautifully painted in a plethora of colors, making them worth a click. 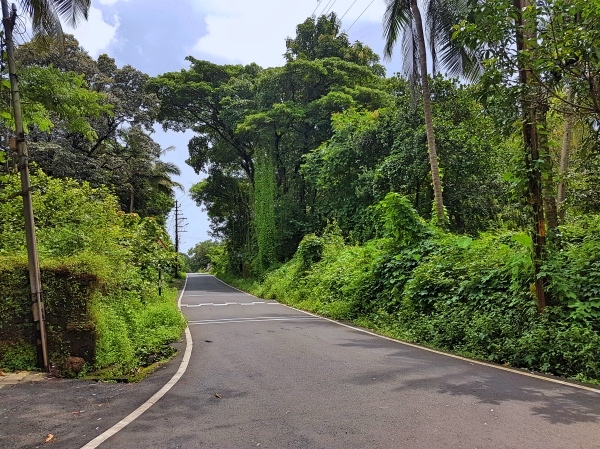 The roads at Divar Island are really in good conditions with proper markings and are mostly uphill and downhill, which added fun to our exploration. It was a weekday and afternoon, therefore, there was no one on the roads. 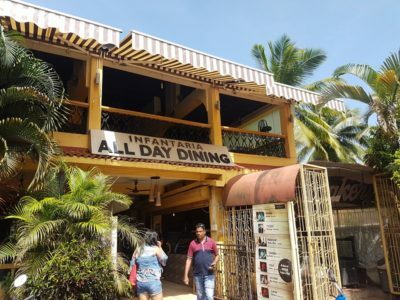 Also, there is no dedicated cafe or restaurant on Divar Island but only small snacks shop, etc. Hence, I would suggest you carry a few packets of chips and water bottles with you during your trip to Divar Island. Our next photo stop was in front of a small school, which was – Our Lady of Divar High School. Surprisingly, the school was also empty and closed. Once we were done with the photo session near the school, we took a road, which was passing just around the corner of the school. No homes were built on that road and we had no idea, where this road will lead us to. Hence, out of curiosity, we started driving on that road. 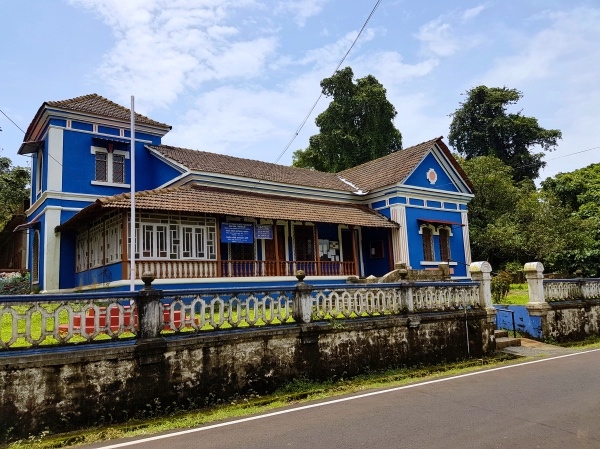 That road led us to one of the most beautiful buildings in Divar Island. I’ve never seen the office of village panchayat more beautiful than this one. 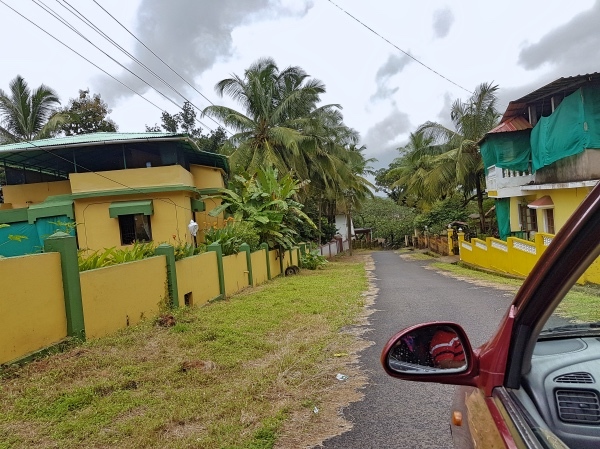 Next, we drove to the northern side of Divar Island. We were surprised to see a beautiful resort amidst of nowhere. The name of the resort was Mercure Goa Devaaya Retreat. Though we could not have a good sight of the resort as it was surrounded by high walls, we took a few pictures of the same. The entrance of the resort is in front of a ferry terminal, which takes you to Vanxim Island. You can book the resort or have a look at more of its photos by following the aforementioned link. After driving around for 2-hours, it was time to say goodbye to Divar Island. While coming back, we headed towards St. Pedros Ferry Terminal to board the ferry to Goa mainland. It dropped us at Riabandar Ferry Terminal. 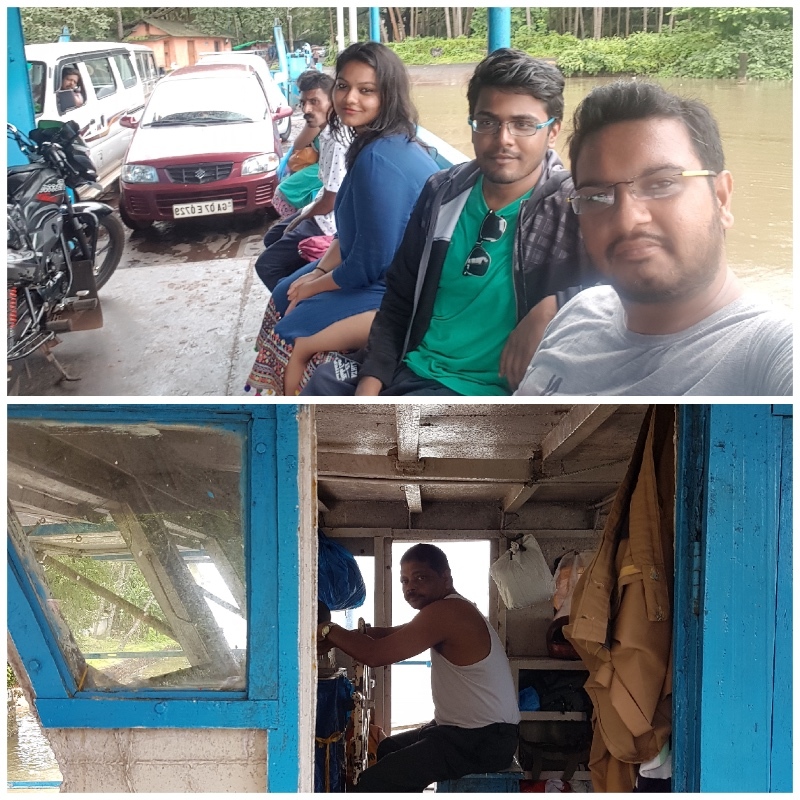 So, this was my tour to Divar Island. 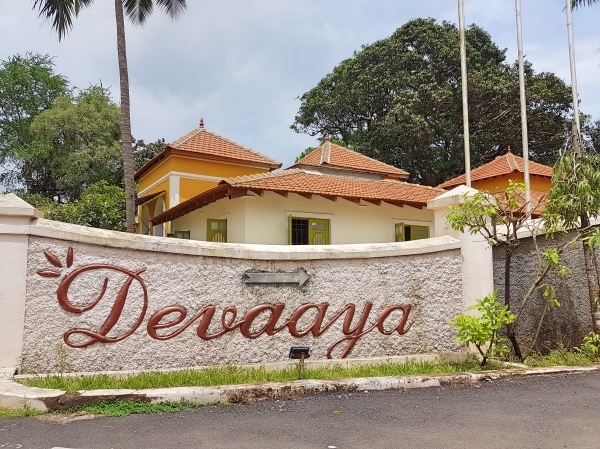 I hope that you enjoyed reading about this Divar Island exploration.